Non-return valve: In a flood situation back flow in drainage pipes can cause flooding if measures aren't taken to prevent it. Non-return valves are installed to prevent backflow. 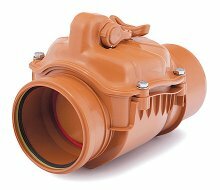 These EN certified valves prevent backflow into residential and commercial premises via the drain systems, toilets or sewers. The backflow valves can be installed in horizontal sewage pipes within the building or in manholes/access chambers outside the building. Available in 4 inch, 6 inch, 9 inch and 12 inch. Non-return valve: In a flood situation back flow in drainage pipes can cause flooding if measures aren't taken to prevent it. 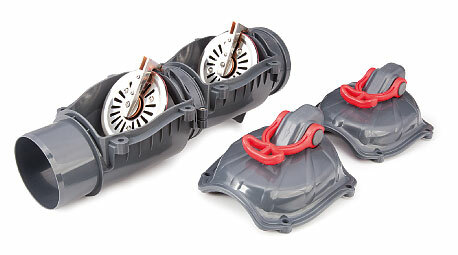 The double non-return valves give extrar protection. 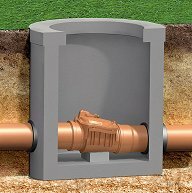 These EN certified valves prevent backflow into residential and commercial premises via the drain systems, toilets or sewers. The backflow valves can be installed in horizontal sewage pipes within the building or in manholes/access chambers outside the building. 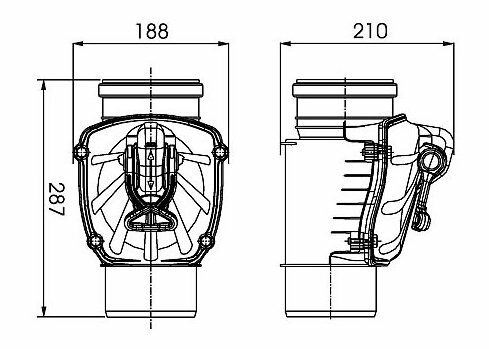 VERTICAL Non-return valve: These EN certified valves prevent backflow into residential and commercial premises via the drain systems, toilets or sewers. 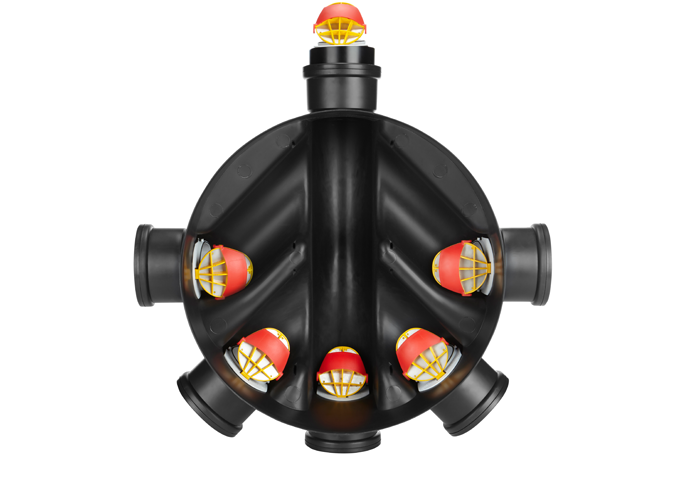 This backflow valve can be installed in vertical sewage pipes within the building or in manholes/access chambers outside the building. 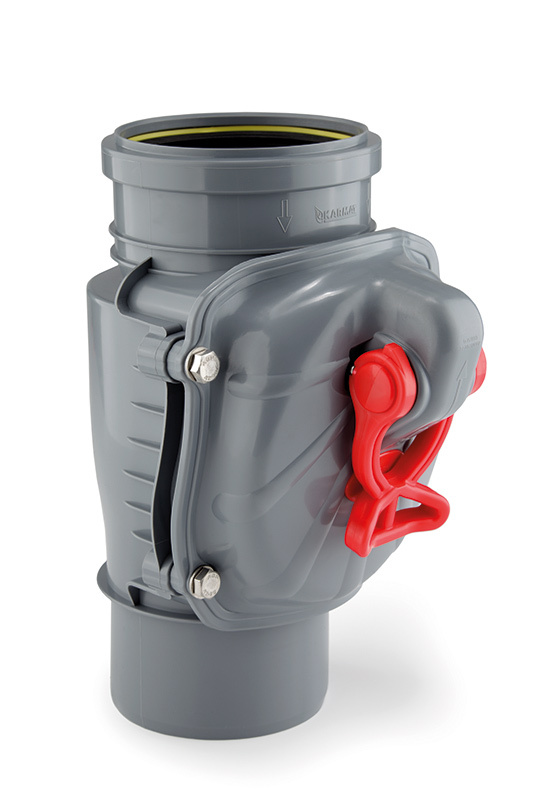 Mainline Back Flow Valve: In most flooding situations flooding via the sewage and drainage system can lead to infectious waste entering the property. 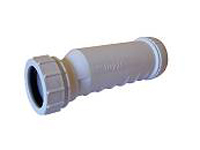 The back flow valve is specially designed to prevent water and sewage from entering a property. The unique design of the water and sewage valve means that in everyday normal operation the system remains fully open. When back flow occurs, the gate automatically closes to prevent water and solids from entering. 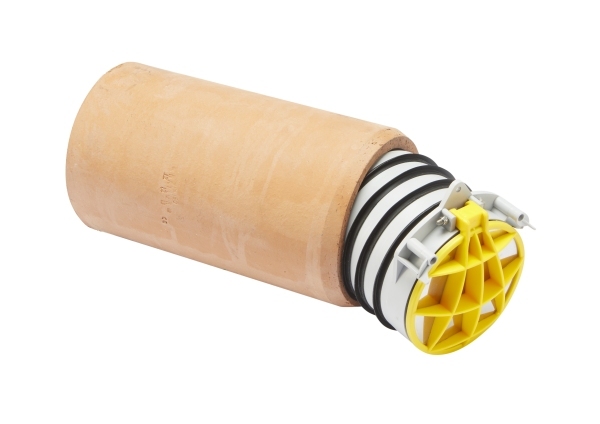 Water & Rodent - Non Return Valve: The easy-fit non return valve just slips inside your existing pipe work, eliminating the need to excavate or modify existing pipe work. 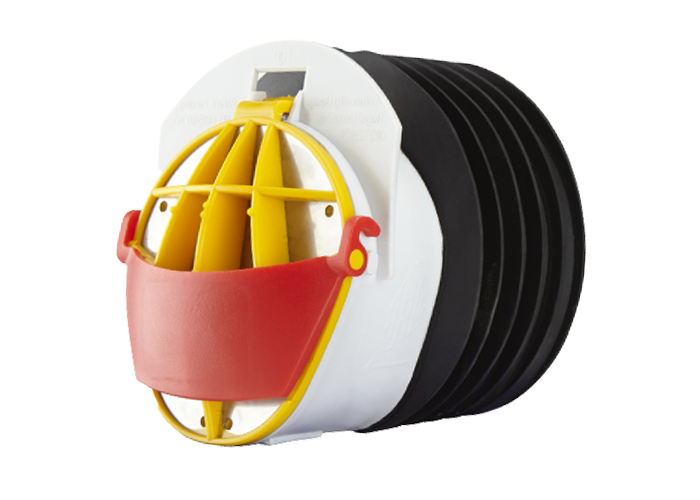 The Valve can be fitted in minutes and is currently available for standard 4 inch/110 millimetre pipes our Non-return valves effectively protect your property from the mess, smell and discomfort caused by back-flow. 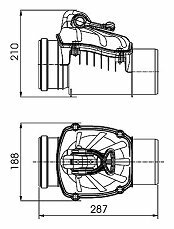 Flap Valve: The flap valves can be installed at the end of horizontal sewage pipes entering collection wells, cesspits or in drainage pipes leading storm water to soakaways or rivers. 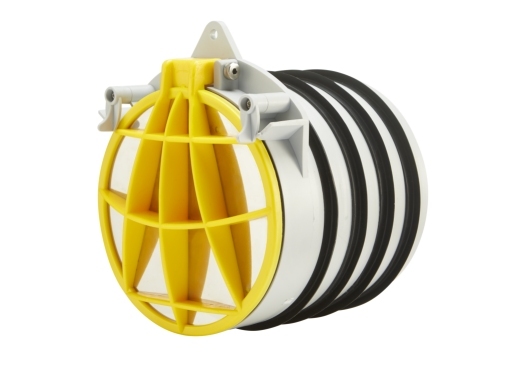 The Drainage Flap Valve comes with an universal coupler allowing it to be installed on drainage pipes or corrugated pipes without holes, from 72 to 100mm diameter. Protects against damage by rodents and blocks their entry. Smooth interior surface to prevent any sediment collection. 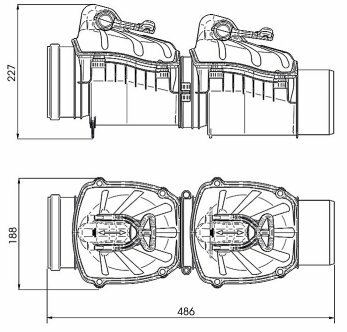 The flap valves come in standard sizes to fit UK pipes at 110 and 160mm. 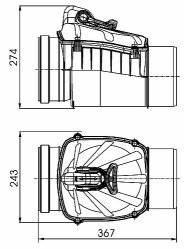 pipes from 72mm to 100mm. 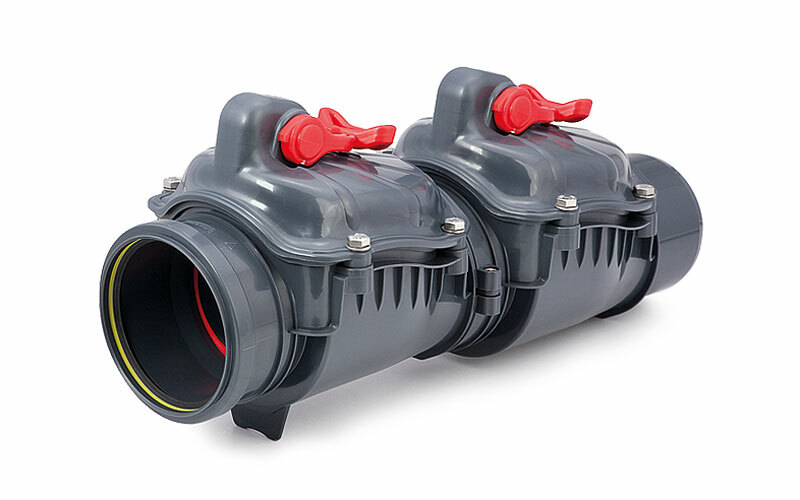 HDPE Wall Mounted Flap Valves : Wall mounted flap valves are made from high quality HDPE materials or a combination of HDPE material and stainless steel reinforcements. 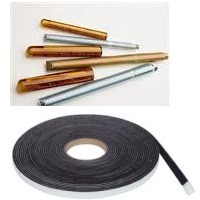 The materials are highly corrosion resistant with a longevity and low maintenance cost. Available in sizes 150mm, 200mm, 300mm. Mounting Kit :Mounting kit includes self adhesive neoprene seal to seal to the wall & 316 Stainless Steel chemical anchor fixing bolts. Available in 3 inch, 4 inch and 6 inch . Waste Pipe Non-Return : Permanently Fitted valve to waste water outlet pipe prevents backflow. Available in 1.25 inch and 1.5 inch.